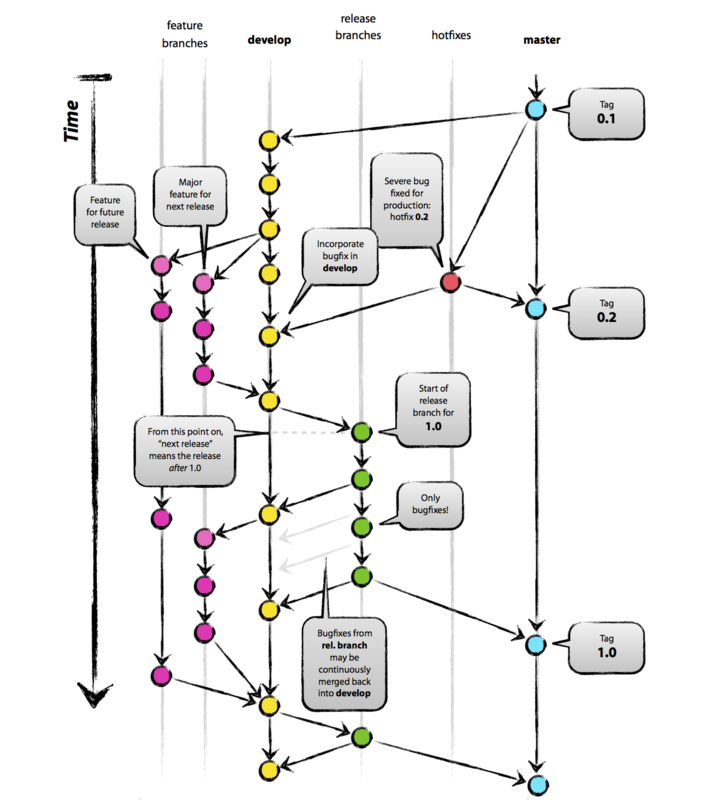 Git-Flow is a workflow for using Git in a way that makes continuous software development and lifecycle much better. It was first proposed by Vincent Driessen in early 2010. He then released some scripts that integrate into the git command. However many people / companies still havent heard of it. It incorporates the typical software lifecycle steps: feature development, releasing a version, hotfixing. Internally, its “just” a branching model, so it works with every git repo be it only local or with the big remote ones like Github, Gitorious. At first Git-Flow might be a bit confusing, but once you get the hang of it you won’t want to develop without it anymore. Have a look at this image while you are reading the explanation beneath and all should come clear.